You can pay $15 per month for this painting. Find out how! 6” x 6” on gallery-wrapped, 1.5” deep canvas. Acrylic, paper and texture media on canvas. A high-energy abstract with fascinating textures and a brilliant palette evokes wintery blue-greens, whites and vibrant red. 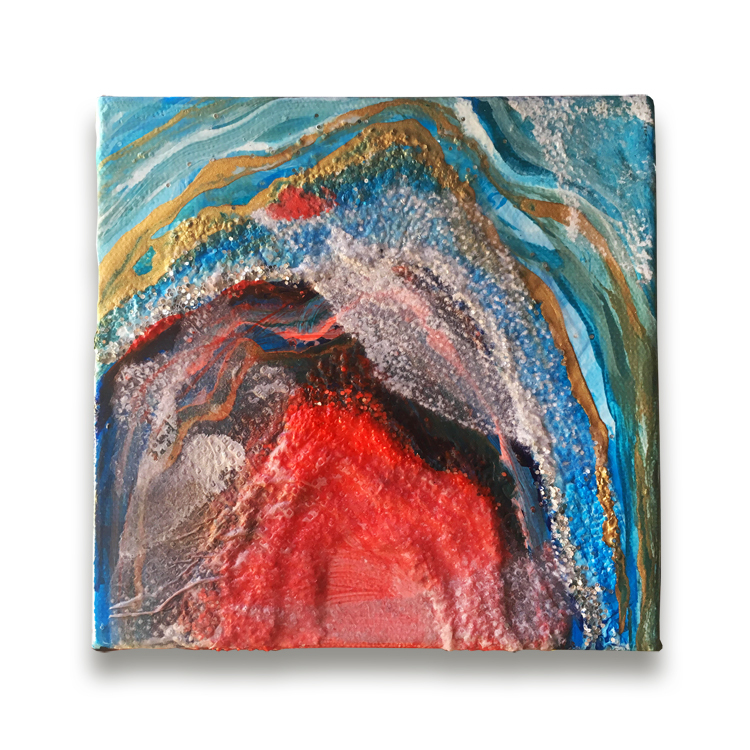 This artwork measures 6" x 6" on 1.5" deep gallery-wrapped canvas. The sides of the artwork are painted and the piece is signed on the right side. The piece is ready to hang.